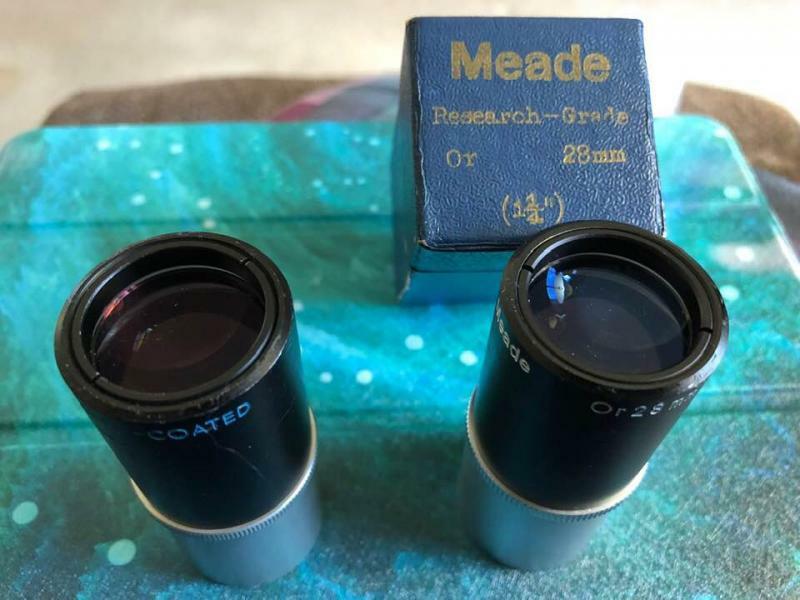 Meade Research Grade 28mm Orthos-Reacquired! Just got my very favorite of the Meade RG eyepieces, the 28mm Orthoscopic. Purchased from a fellow in England. Actually he sold me two of them!! One with original box and one without. Both are in VG condition, optically with some cosmetic signs of wear on the outside. I sold a complete set about a dozen years ago and immediately regretted selling the 28mm Ortho and the 20mm Wide Angle. I was able to obtain the 20mm a few years back. I'm a happy boy! I love my 7mm RG Ortho. I would hate to ever give it up! 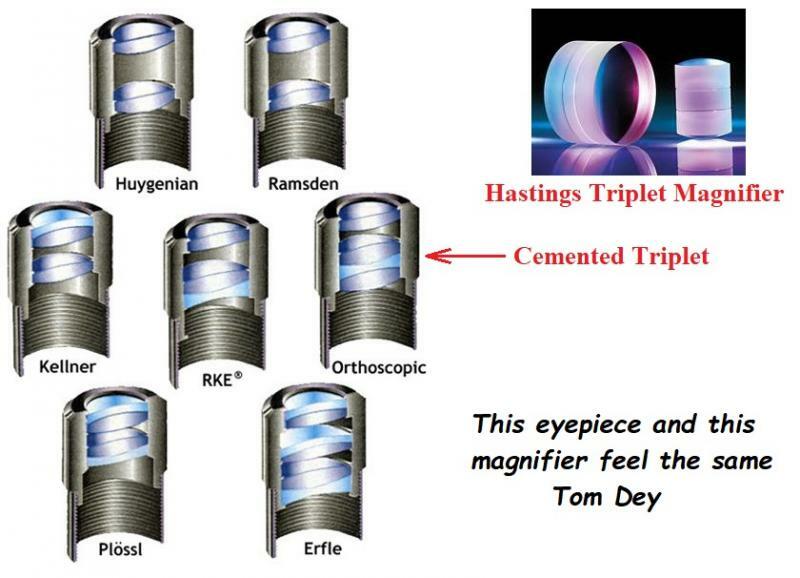 Orthoscopic is my favorite vintage/classic telescope eyepiece design. Possibly because I got my 1st grand view of Jupiter with the old Edmund 12.5mm way back circa 1960-ish. Indeed, Orthoscopic is a magnificent performer, provided the feed is not too fast.